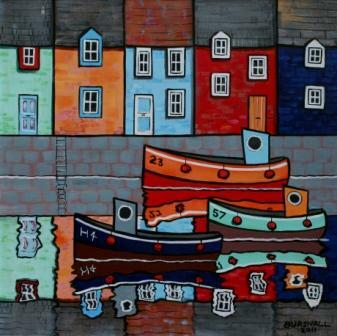 Right now we are waiting for new Paul BURSNALL Art to arrive at the gallery. In the meantime, here is a selection of the artist's archived art work which has featured at Red Rag Art Gallery. 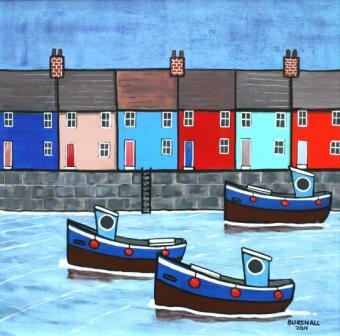 If you wish to register to receive updates and alerts when new art work from Paul BURSNALL arrives select this link. Paul Bursnall trained as a draughtsman and studied Product Design at Slough Technical College, Berkshire, in the south of England. Paul now lives in Buckinghamshire, where he has an art studio. 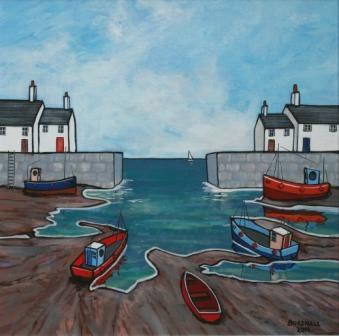 As well as being a member of the Association of British Naïve Artists (ABNA), he is also a member of The Jailhouse Art Group and The Visual Images Group. 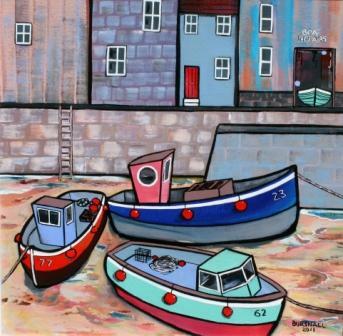 Taking inspiration from the British coastline Paul Bursnall paints nautical scenes in a distinctive naive style using blocks of colour and heavy outlines. 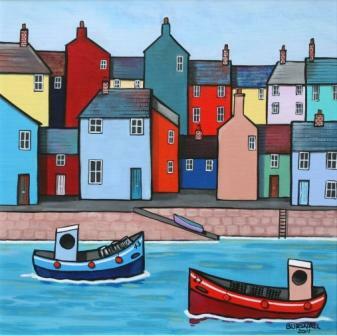 His modern art work is full of strong primary colours and bold graphic images which capture the essence of British fishing villages. 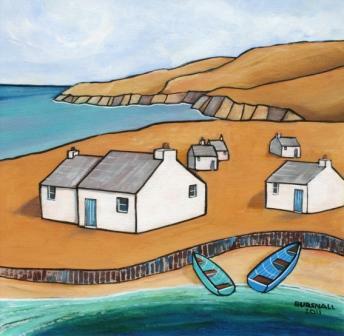 Paul Bursnall modern art work is now in many private art collections, especially in the USA and Ireland. 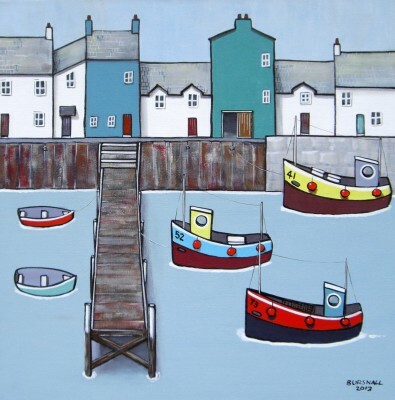 In addition to Red Rag Modern Art Gallery Paul Bursnall has exhibited at a number of other British Art Galleries. 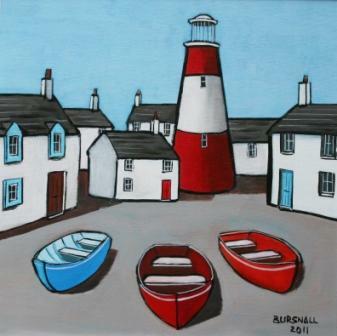 Each painting at Red Rag is sourced from the Paul Bursnall artist studio and like all Red Rag British art and Modern art it can be shipped worldwide. 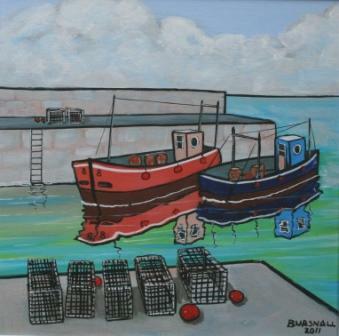 Artist Paul BURSNALL is one of a growing number of artists whose modern art works feature at Red Rag Gallery in Bath. 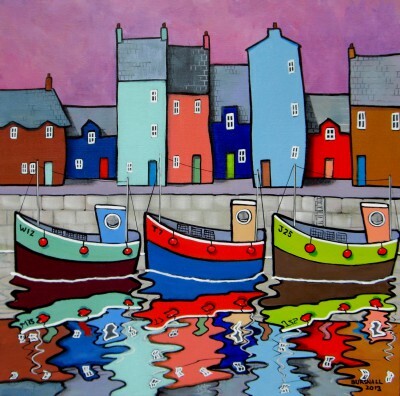 Modern art work from Paul BURSNALL is regularly exhibited at the Bath art gallery which also offers an extensive choice of modern art, contemporary sculptures and collectible art prints from other present day artists. 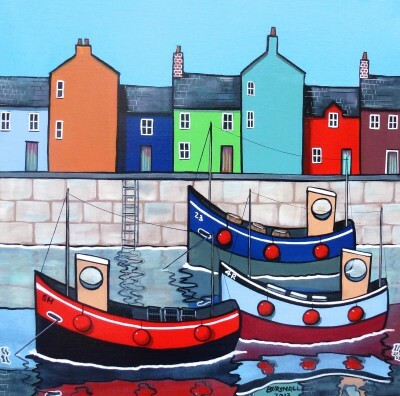 Should you wish to buy or require further information about modern art from Paul BURSNALL please contact/email Red Rag Modern Art Gallery or alternatively contact Red Rag on the number below.